tapas fairly uncomplicated in the early days. 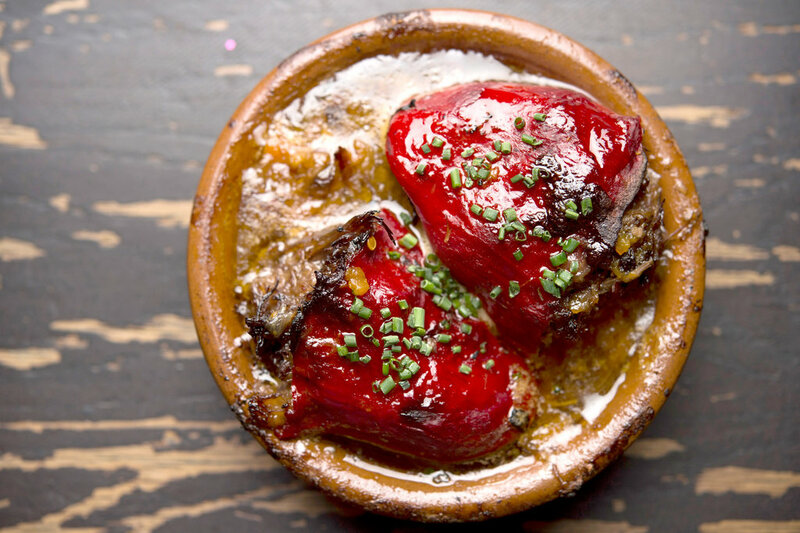 Roasted piquillo peppers filled with juicy braised oxtail were on the menu then, are there now, and probably will be forever. The seared skirt steak, served with sweet stewed onions and a romesco that crunches with coarsely chopped almonds, is still one of the most elementally satisfying one-course meals near Union Square. It’s even better if you eat it alone at the bar, which may be your only option on those nights when reservations are impossible.